The children, parents, grandparents, aunties and uncles had a wonderful time on the Nursery trip to Formby National Trust. We took a walk through the woods where we looked for rabbits, red squirrels climbing up and down trees, rabbit holes, tree stumps, magpies, sign posts and chewed pine cones, to name just a few things! We met Sidney the Red Squirrel puppet who showed us what squirrels can and can't eat from their squirrel lunch boxes and the dangers of litter. 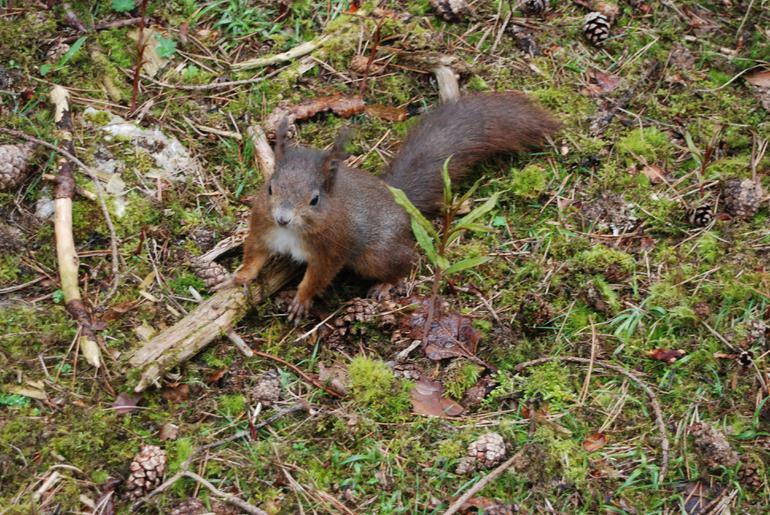 Next week at Nursery we will be learning about baby squirrels being called 'kittens', the habitat of the red squirrels and how the larger, grey squirrels take food from the reds and pass on squirrel pox too. 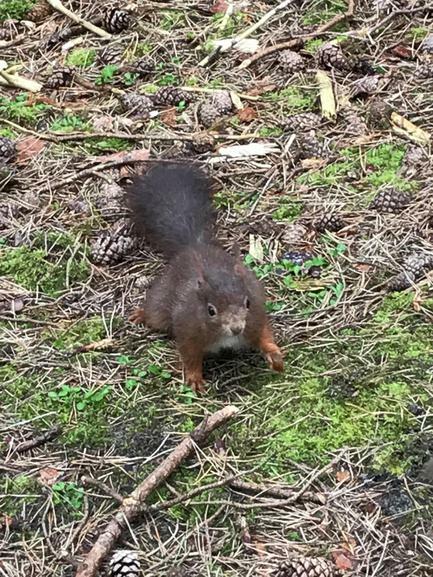 Any grey squirrels found in the reserve have to be caught and taken to live somewhere else. Today we learnt that a squirrel's nest is called a drey. After our walk we went to the beach for a picnic. We built sand castles, drew in the sand, looked for shells and paddled in the sea. Jesse walked barefoot on the sand and Bliss was asking for her swimming costume! Dougie made a moat with Tate around their sand castle and they filled it with sea water. Carter balanced on tree stump he found and Harry and Alessa loved the rabbit holes they discovered.